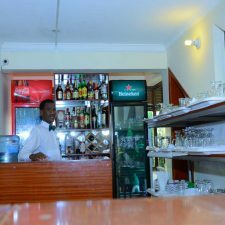 Five to five hotel is a three star hotel, located in the vicinity of Remera Amahoro Stadium, 80meters away from Airtel HQ. We boast the best, most luxurious services, affordable by everyone. Whether you are looking forward to a luxurious experience in Rwanda, or to save on accommodation & enjoy other adventures in Rwanda, we are the only solution for both, we have many options for our clients. Our rooms fit every budget, yet are packed with numerous amenities. 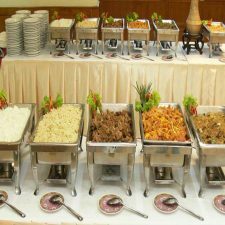 We have a variety of tasty dishes at the lowest price in Kigali. Quench your thirst with our modern bar, that has a variety of all drinks. 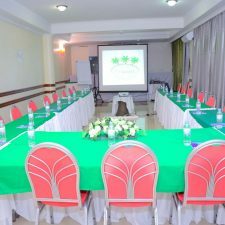 Hold any meeting in our conference room that has all meeting equipment. Our Hotel was born with an aim of redefining luxury, by making quality hotel services affordable to everyone. Satisfying your needs is our highest aim. We have a range of facilities that make you feel at home, coupled with a beautiful view of 1000hills, every room has its own private balcony to give our guests a glance to the beautiful nature of Rwanda. 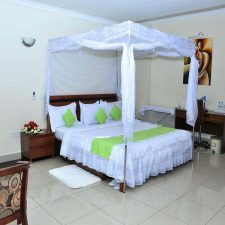 We are known for our lowest room rates in town, yet for a clean and quiet environment that will enhance your serenity. You get a bundle of all travel services when you decide to work with us, from flight reservation, to Airport pickup, and we get you to our hotel from Kigali International airport in not more than 10 minutes. Our kind receptionists will give you a warm welcome upon your arrival, and direct you to your prepared, clean room safe and sound. What fantastic little hotel – found staff so friendly and helpful. Got to know all of their names and felt like family when I left. Really conveniently located as it is about 5 minutes from the airport. We only stayed one night this hotel is exceptional. I contacted the hotel regarding transportation from the airport (free transport) they were so prompt in their response. When I got off the airplane someone was there to pick us up. Only stayed one night but it such a nice one. The room we had was very nice and had everything we needed and more. The restaurant for dinner and breakfast was very good and the service was exceptional. All the staff in the hotel were very helpful. I loved this small hotel on a side street. 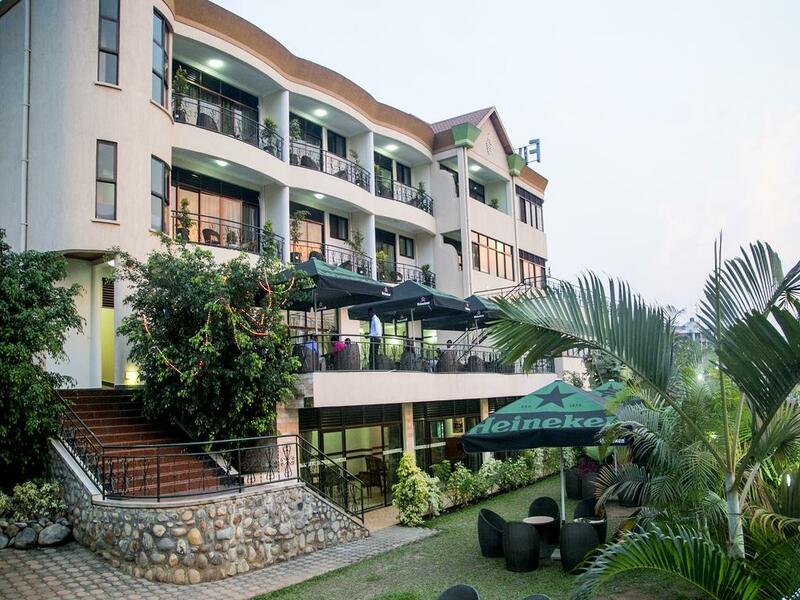 Not the new glossy hotels one sees all over in Kigali, this small gem is great. The room was small by Western standards, but had every possible amenity: a large comfortable four poster bed with lacy mosquito netting. The staff were very helpful and accommodating, even giving a free lift to a local swimming pool. Both mornings we had to leave early and they insisted on providing a takeaway breakfast! Showers were good Beds comfy.